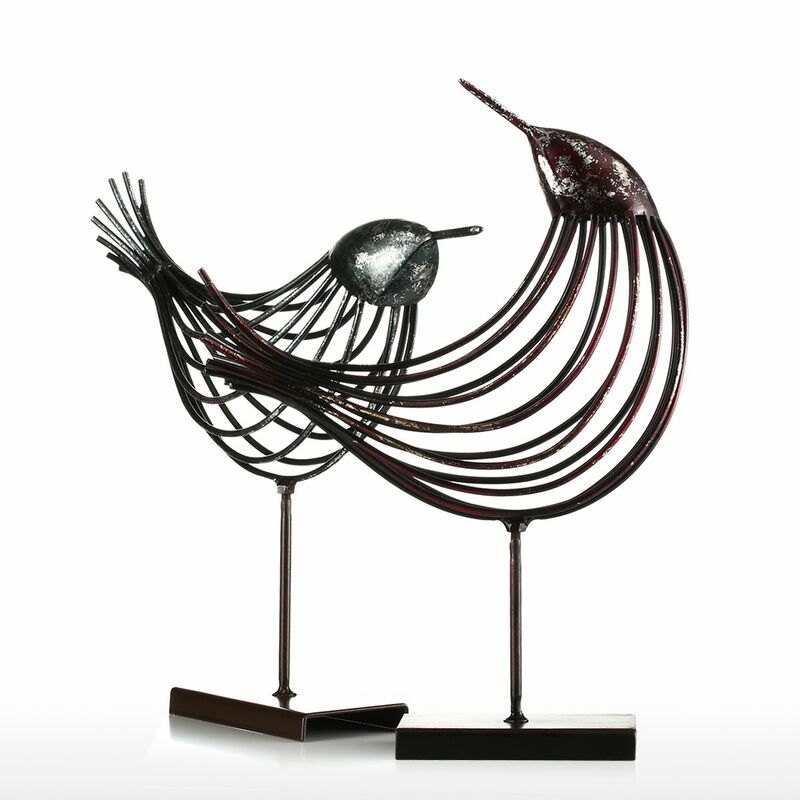 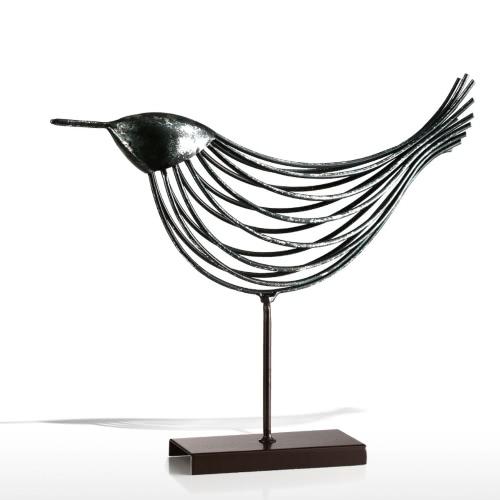 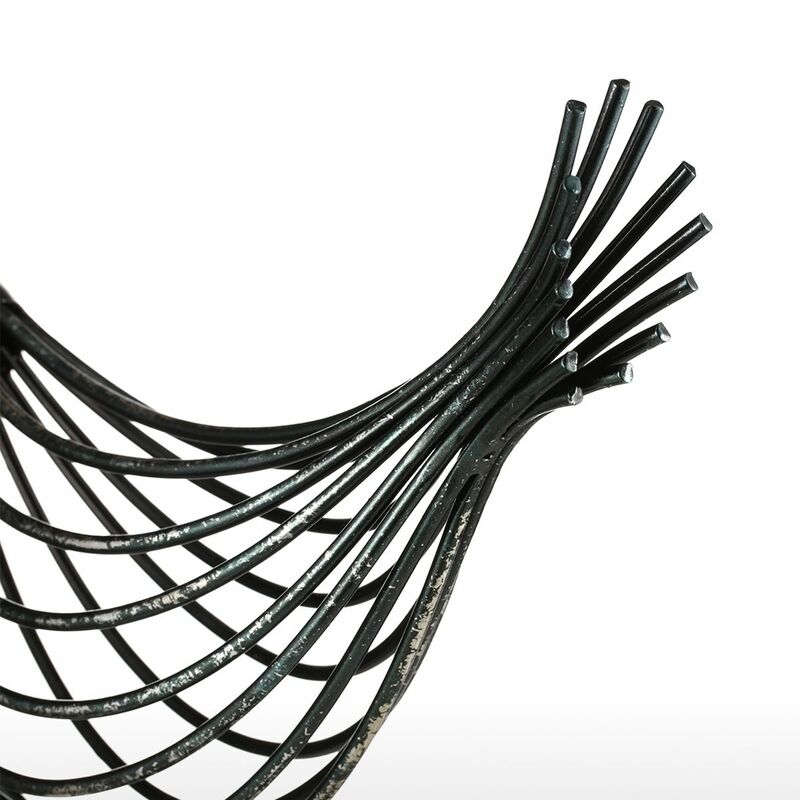 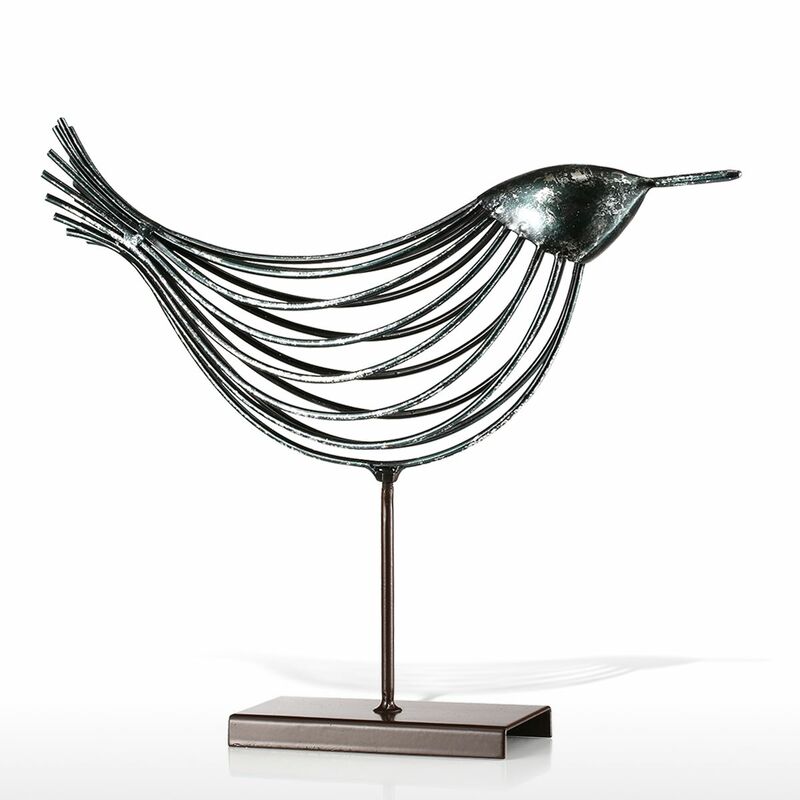 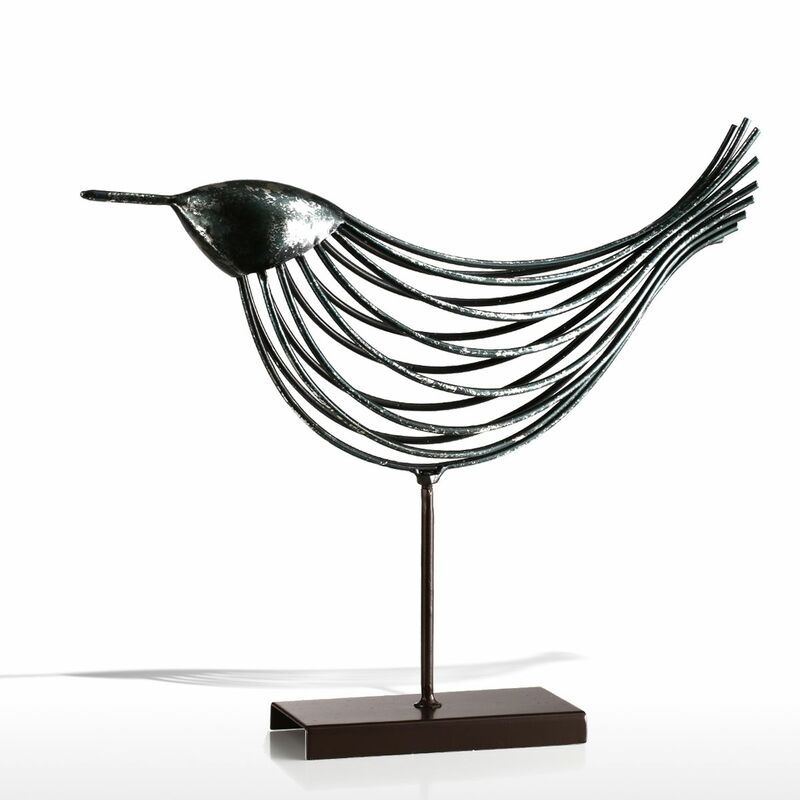 This is an iron bird sculpture of concise and abstract shape. 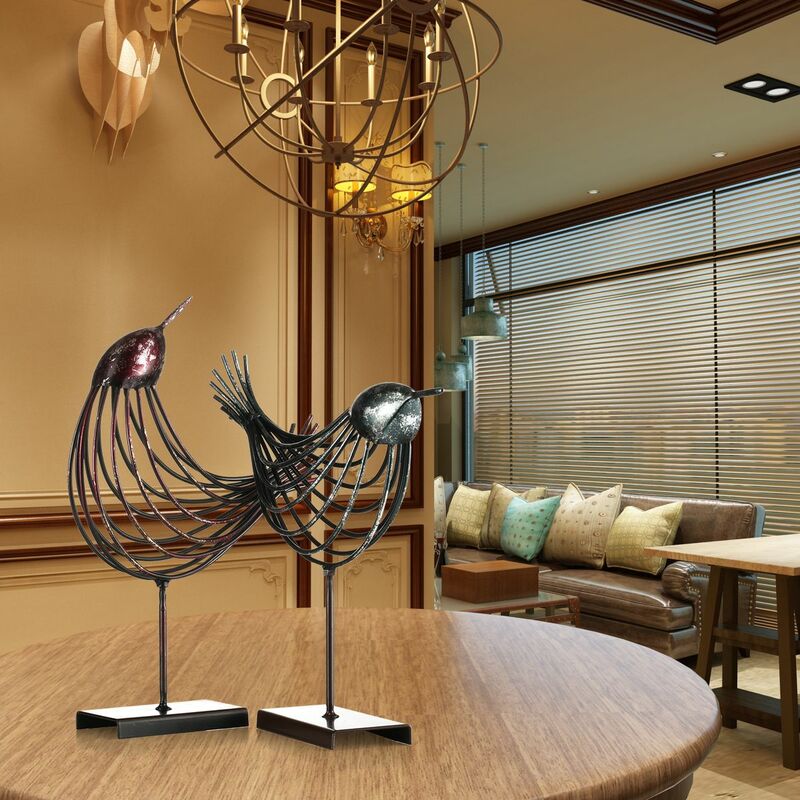 The product is handmade by the craftsman, the model is only made of a few simple wires. 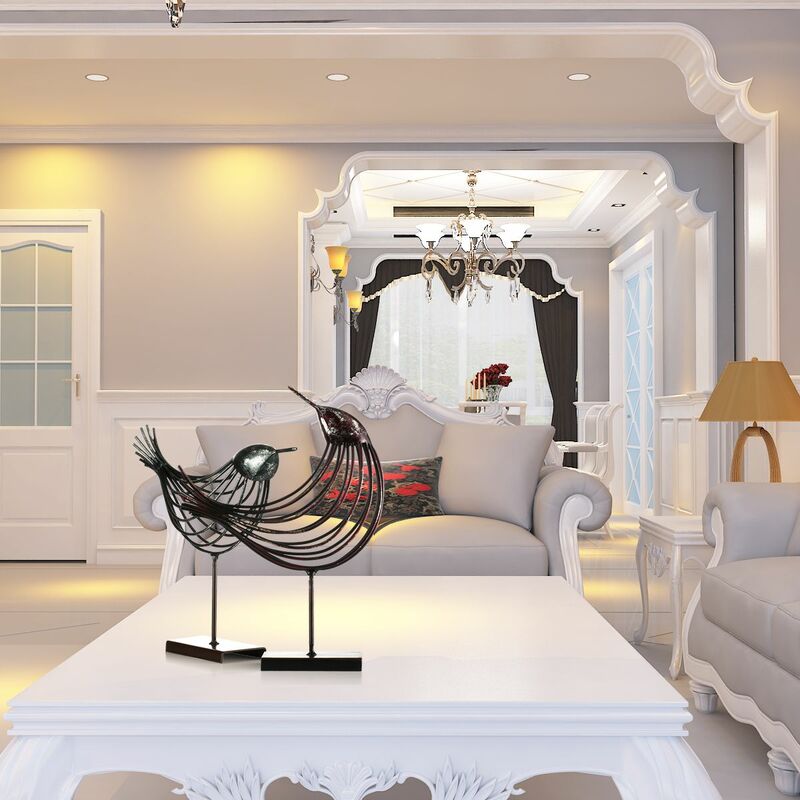 However it is very vivid and lifelike, the special vintage technique makes it more artistic.Putting it at your home brings the room more lovely atmosphere.Suitable for living room, study, bedroom, bar, restaurant and other space decoration. 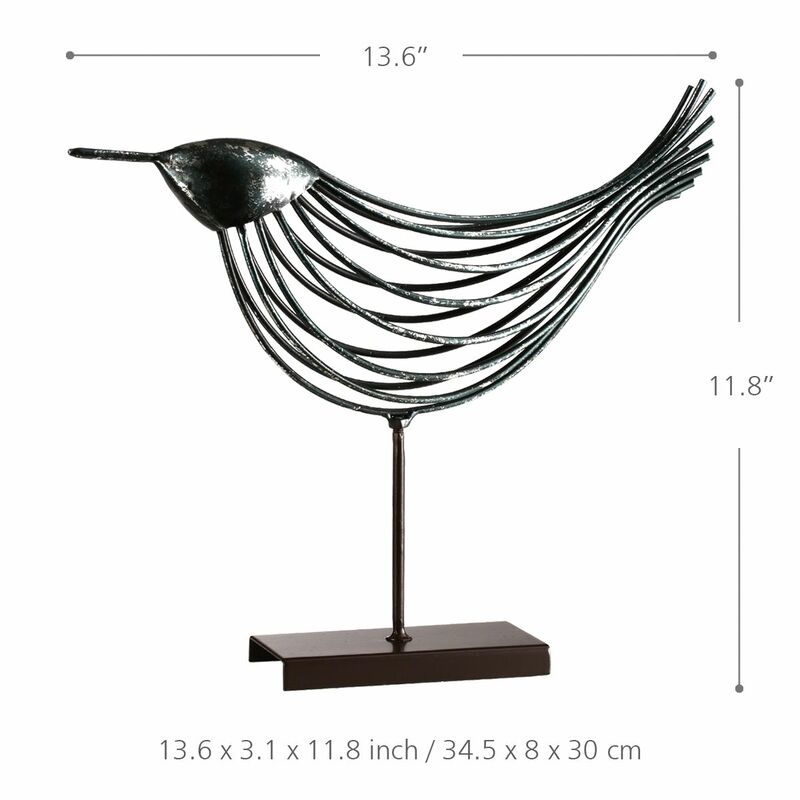 Vivid and lifelike, adorable modeling. 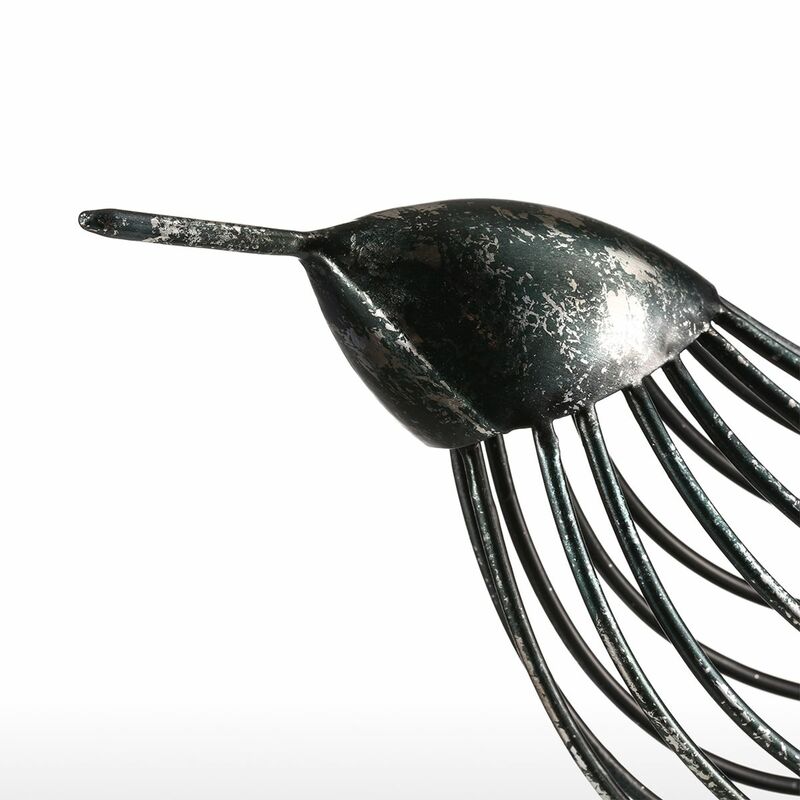 Iron sculpture, surface vintage technique. 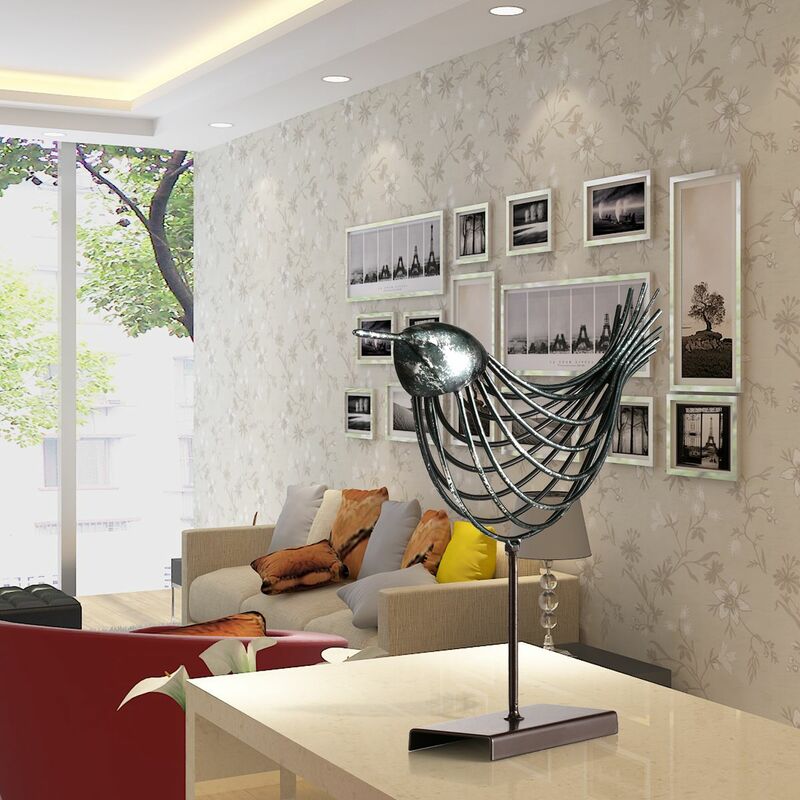 Suitable for living room, study, bedroom, restaurant, etc decoration.